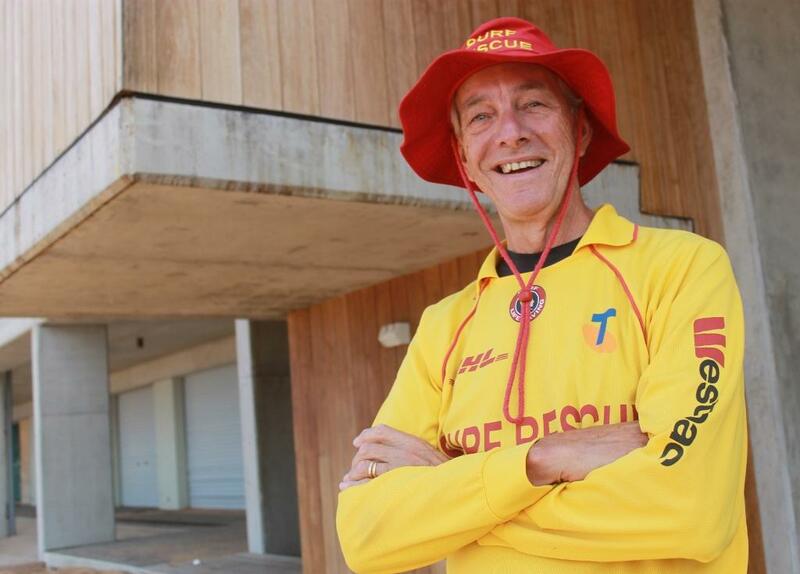 Avalon Beach SLSC member and President of the Avalon Beach Historical Society, Geoff Searl - curating the 90th Anniversary Exhibition Celebration at the Clubhouse - Open to the public May 2-3, 2015. Picture by A J Guesdon, 2015. Avalon Beach SLSC is celebrating its 90th Anniversary this May with all past and present members invited to join in the celebrations across the first weekend in May. On Friday May 1st the Club will be hosting a party with a meal and music. Tickets are $35 per head and can now be booked online or by contacting the Avalon Beach SLSC office on Monday, Wednesday and Friday mornings. This event is open to the public. A historical exhibition will be on display in the Clubs main hall throughout the weekend of May 2-3, curated by Geoff Searl, President of the Avalon Beach Historical Society and a long term member of Avalon Beach SLSC. Many who have visited past ABHS Exhibitions would know there’s always items not seen before, one especially loaned example which we share this week. The Clubhouse will be open throughout the weekend for anyone to visit and have a look at the exhibition. A gold coin entrance donation will be put towards vital equipment the volunteer members of the club use in saving lives. Copies of Geoff’s comprehensive book, Avalon Beach S.L.S.C. history, compiled for the 75th Anniversary will be available over that weekend, but only a few are left, so get in early if you want to secure one of those. On Sunday afternoon the Clubhouse bar shall open at 4 for those who would like to enjoy the best views of Avalon while sipping something refreshing with Avalon Beach SLSC members. Three sons were born to Sydney dentist, Arthur Cecil Hanson and his wife Mildred Blanche Faviell. Arthur George Hanson (known as ‘Tom’ to most) was first born at Hunters Hill in 1911. Geoffrey Faviell Hanson followed in 1914 and Kenneth John Hanson completed the family. Prior to 1920 Arthur bought a block of land on the corner of Avalon Parade and Ruskin Rowe on which he built a two-room cottage. It consisted of a bedroom and a kitchen/dining room but both were surrounded on 3 sides by a generous open verandah where later children of the families spread their mattresses and camp beds. He called the cottage ‘Keilor’ after the north-west suburb of Melbourne from where Blanche’s family hailed. The family spent considerable time at ‘Keilor’ travelling down from Hunters Hill and later Killara in Arthur’s bull-nosed Hupmobile. The 3 boys loved the water and decided to join the surf club. In the photo taken in 1925 of the meeting on the steps of ‘Avalon’ which resulted in the formation of the Avalon Beach SLSC, Dr Hanson is standing on the steps alongside A .J. Small, the owner and developer of Avalon Beach. A.G. (Tom) and Geoff were in the same successful Bronze Medallion squad on 7 April 1935 (the Club’s 2nd squad). The 3rd brother Ken obtained his Bronze Medallion with the Club’s 3rd squad on 29 March 1936. Geoff gained the Club’s 2nd Instructor’s Certificate with the 4th squad which passed on 31 January 1937. Geoff became Club Captain one year later and it is recorded that he held a card night at the home which raised 6 pounds which went to the new boat under construction (launched on 4 December 1938). Geoff served as Hon. Treasurer in 1939 and rowed competitively in the new boat under the new Boat Captain and Sweep, Gordon Brown. In November 1939 Tom Hanson was among several members who left to join the AIF. The last of the Club’s Active Members to leave was Ken Hanson when he joined the RAAF in January 1941. Dr Hanson died in 1935 and so never knew of the death of his youngest son Ken who perished when his Liberator bomber was shot down over Celebes (Sulawesi) in 1945. Geoffrey died in 1976 but it was Tom the eldest son who kept the Hanson flag flying. In November 1942 F Troop was flown into Popondetta under the command of Major Hanson. He was nicknamed Black Tom, while the battery’s code-name was Blackforce. After the war he joined the CMF reaching brigadier in 1957 when he was commander of the artillery’s 2nd Division. He died in Sydney in 1999 at the age of 87. 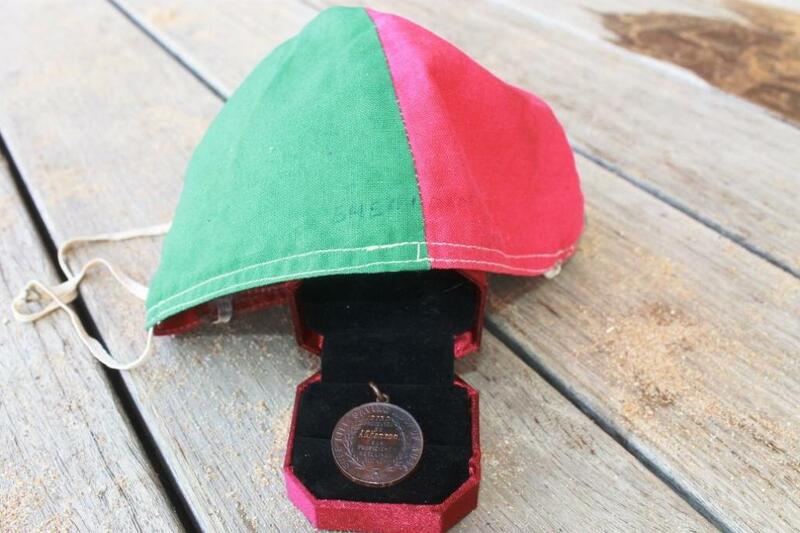 A.G. (“Tom”) Hanson’s Bronze Medallion from the club’s 2nd squad and his original cap.